With our society’s advanced technology, hidden cameras are no longer new to us. You can find them almost everywhere -- malls, buildings, schools, offices or even at your neighbor’s home. These cameras can serve as a protection for everyone, but they can also serve otherwise. Have you ever thought of the threats it can pose to one‘s reputation, career and relationships once his or her supposedly “personal” activities are secretly caught on camera, recorded and watched by other people? What if these private videos are uploaded online? What if this person is you? This article will teach you how to protect yourself from unwanted audience. Wired cameras are commonly preferred because they are continuously powered and smaller than the battery-operated ones. Look for unusual wires behind tables, couches and lamps. But some do prefer wireless cameras in spite of the bigger size. In this case, you have to spend more time to search them out. Cameras are usually installed on obvious areas such as a bedroom, living room and an office’s receiving area. They may also be found on books, smoke detectors, plants, stuffed toys or even on tissue boxes. Another tip on how to find hidden cameras is by checking on less common items such as bags, eyeglasses, lamps and screwdrivers. Things that are not supposed to be at their place may also be a sign of hidden lenses. You may also check for small holes that are facing the room. Video cameras emit electromagnetic fields which can be detected by using your cellphone. Make a call and start passing your phone near an object which you suspect to have a camera. Once you hear your phone making clicking sounds, then the red flag is up. Call the authorities at once if you suspect a case of invasion of privacy. A good example is a smoke detector having a unique lid color. A smoke detector is usually ignored making it a common area for hidden cameras. If you notice something different or unusual on things, then it is possible that a camera is installed. Other examples are plants, books, clocks and even routers. You should also be careful when bringing your gadgets or appliances to the repair shop because this could be a way for the technicians to install a camera and secretly sneak on your privacy. Always try to inspect unusual things you notice. Get a cardboard tube from a toilet paper and a flashlight. The cardboard tube will be used for looking through and the flashlight will be the source of light. Look through the cardboard tube with one eye and hold the flashlight at eye level, point it away from you. Scan the room and if you see any holes or light bouncing back, then it might be the lens of a hidden camera. Still having a hard time looking for hidden cameras? Another tip on how to find hidden cameras is with the use of laser camera detectors. Laser camera detectors have a viewing port and LED light source. Just turn on the light source of the detector and start scanning the whole room while looking at the viewing port. If you see a reflection that doesn’t move even if you are moving, then it seems someone’s been trying to spy on you. 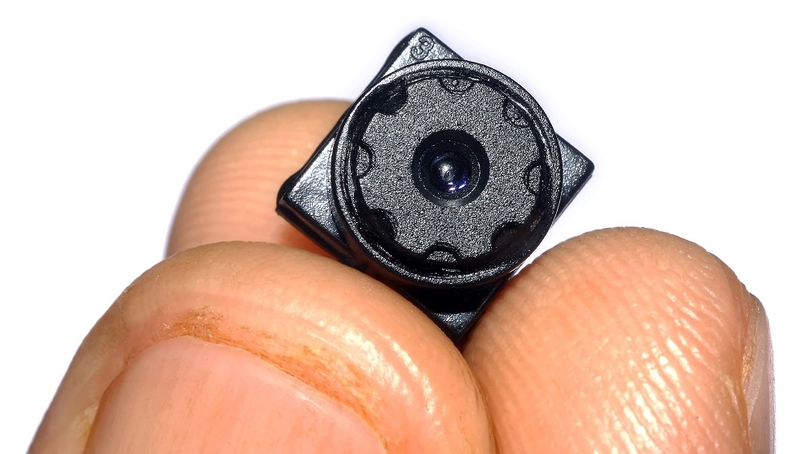 There are a lot of ways to find and dismantle hidden cameras on your own. But if you are still unsure, you may want to ask for a professional’s help. Counter surveillance professionals and private investigators have the experience and complete, sophisticated tools to do the job for you. You may also try listening carefully for clicking or buzzing sounds in a quiet room when looking for hidden cameras but many cameras today only activate when they sense motion or movement to save on memory space. There are cell phone apps available to detect hidden cameras. For iPhone users, there’s the Hidden Camera Detector App and for android users, there’s the Glint Finder. However, these apps have their limitations and they are not given much credit by many users on their reviews.